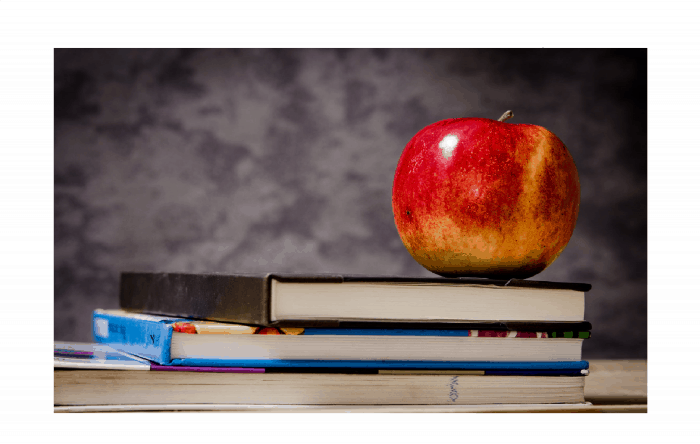 Why You Need a Site in 2018? UP+50% » Website development » Why You Need a Site in 2018? In 2018, digitalization expands to new terrains and we see the global expansion of such technologies as the Internet of Things and VR. No doubt, if your small business isn’t represented online this year, you lose a lot. In this article, we break down why you need a site in 2018 and bring you some viable options to get you going. Firstly, having a website is an effective and inexpensive way to advertise your business. Advertising through printed media, radio, television and other conventional means is costly. Running a website can cost you less than $10/month that you spend on hosting it. Secondly, your business is more accessible to clients. Modern business is all about information. People want to know about you before they decide to pay for the items or services you offer. If you tell about your business online, it takes a couple of minutes for potential clients from all over the world to learn about you. Thirdly, you always bring your clients information that’s up-to-date. With a website, you’ve got a chance to update information about your company and products as frequently as needed. By this, you can ensure that your potential clients don’t stumble over outdated information and get disappointed. Next, having a website improves your productivity. You don’t have to present your products to every single customer. Present the value you bring just once online, and customers will be able to access this persuasive presentation round the clock. No doubt, with your website you can take interaction with your clients up a notch. Customers can quicker get in touch with you and get all of their questions answered. Then, you see the rise of customer trust. Trust is a beneficial connection that builds up over time. Thanks to rich social media integration, your business develops side-by-side with your customers and is increasingly familiar to them over time. What’s more, comments and reviews on your website is what matters a lot, and gets even more people going for your services. Last but not least, running a website and taking care of SEO, you tremendously boosts your business’ discoverability. Many people currently discover businesses online and go for their services. Don’t miss on this pool of shoppers by launching your online presence. These are just some of the major advantages that launching and running a website gives you. Dig deeper and make your web presence even more advantageous by developing it the way that maximizes its effectiveness. No doubt, competition on the market is tough. If you don’t take advantage of what a sound web presence brings you, your competitors do. While you loiter and run your business as 50 years ago, your competitors embrace new technologies and steal away your clients. Time is not your friend unless you embrace the digitalization of the business and invest into creating a modern website. That’s not that tough as it can initially seem. Launching a website in 2018 doesn’t take a small fortune. You don’t have to run to a web design agency with a big wad of cash in your hand. 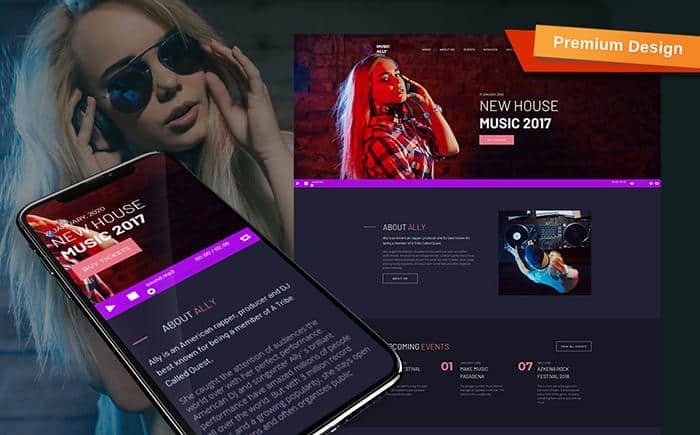 Instead, you can simply go for a modern website template and customize it the way it matches your corporal identity and idiosyncratic features of your business. What’s more, you need a hosting plan to make your website globally available. Don’t worry about this. If you run a small business website, a shared hosting for $5 – 10 is pretty much all it takes to be online 24/7. 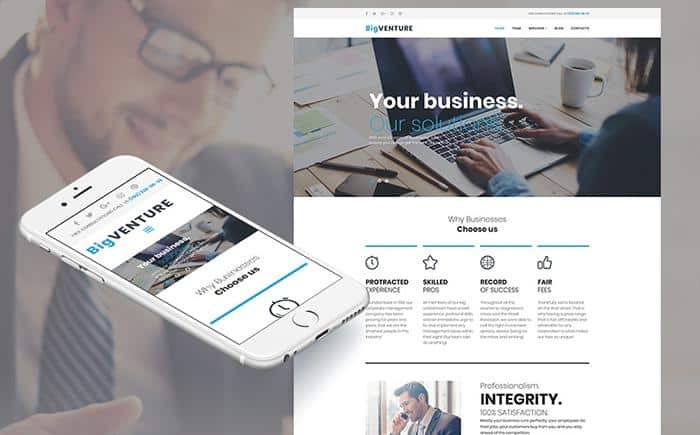 So, to put you on the right track, we want to share with you top 5 business and corporate website templates 2018. They bring all the advances of modern web design together and provide for establishing a conversion and SEO-optimized, responsive and cross-browser compatible web presence. Are you into the world of finance? With this theme, you’ll be able to launch a top-notch web presence that you deserve. This MotoCMS 3 template is arguably one of the fastest available for finance niche. So, no bounce rate concerns, no dropouts. What’s more, installing this template is a 5-minutes long journey with an autopilot. Despite being very simple in terms of customization, BigVenture brings you a classic pack of features. The template brings you Parallax visual enhancements, a rich set of galleries, widgets for audio and video integration, fully-fledged blog functionality and much more. What’s most exciting, you can get a trial access to the theme and its dashboard for 14 days free of charge. The next secret that we’ve got to share is that e-commerce can also be simple as ABC. You just have to make a right e-store engine choice. So, if you want your fashion store to be the gold mine of sales and remain simple at the backend, this WooCommerce theme is your trusted mate with a rich variety of features. It brings you engaging pages with variegated details, a rich Jet Elements plugin pack for enhanced commerce and the Elementor Page Builder to WYSIWIG your website on the fly. No doubt, the template is accompanied by extensive beginner-friendly documentation and round-the-clock support. WordPress is undeniably the leading CMS when it comes to building a photographer portfolio website. It marries the simplicity of customization into jaw-dropping extendibility. 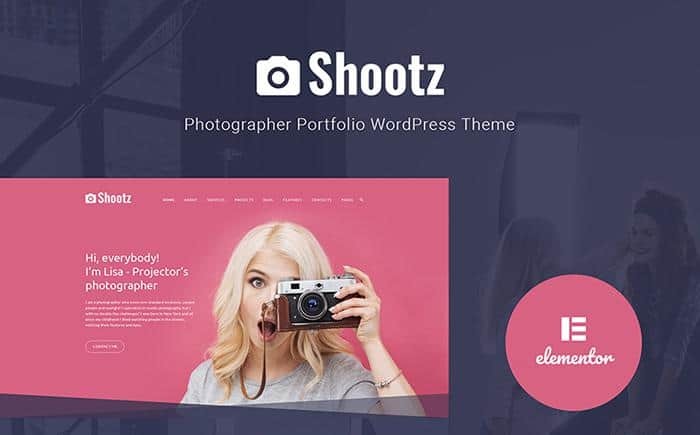 Shootz is the 2018 incarnation of what can be done when skilled designers drill the WordPress draws. This lollipop sweet and UX-optimized theme harbors a number of new-gen galleries that occupy its eye-catching pages. What’s more, the theme’s designers pre-packed it with nice-to-have freebies. As an extra bonus, you get all the sample imagery of the template, a pack of Jet Elements and Booked Appointment plugin. Can you think of another photographer template that brings you more? Simple and straightforward as they are, HTML templates remain popular among people that know the code. This gym theme is one of the most elaborate yet comprehensive you can find. The responsive design of it is underpinned by Parallax and latest Bootstrap. Moreover, Fitnezzy brings your clients a website with rich UI and friendly UX that loads in a matter of milliseconds. It also provides you with such features as Event Calendar, Megafooter, powerful search functionality, Google Maps and Fonts, etc. In addition to this, all the forms of the theme are ready to be used. 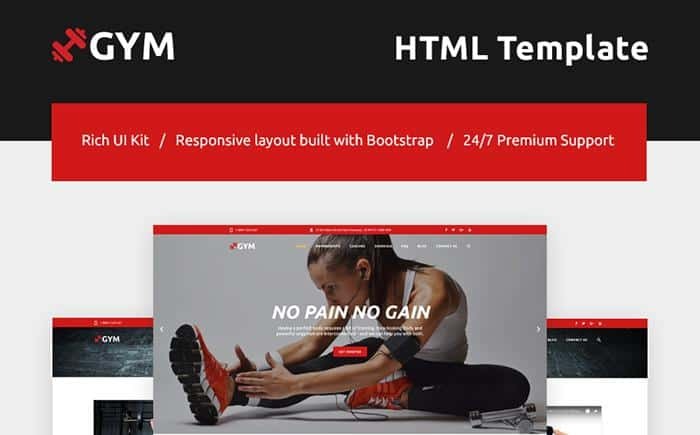 So, Fitnezzy template can duly serve as a perfect example of most advanced 2018 HTML templates. We hope that at this point you arrived at the conclusion that launching your website this year is inevitable. Browse TemplateMonster marketplace, and you’ll discover even more templates for food and restaurant, web design, electronics, beauty and healthcare niches. We wish you good luck in launching your stunning web presence this year. 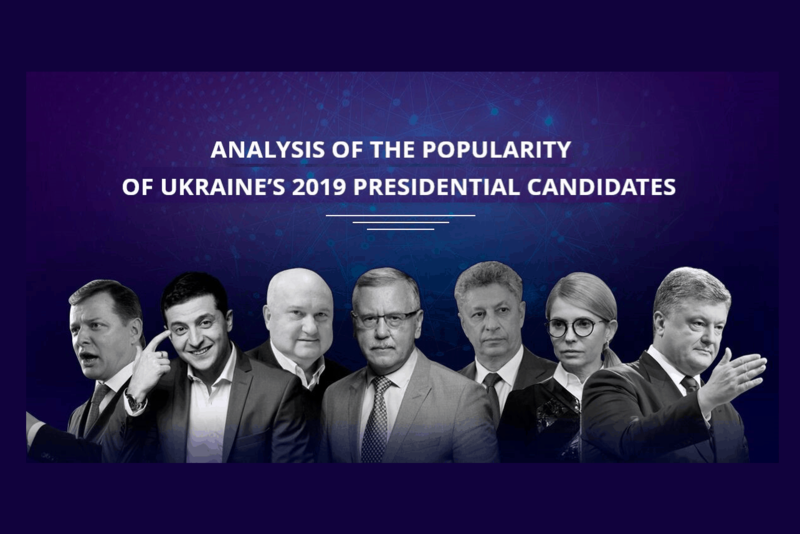 Stay tuned!